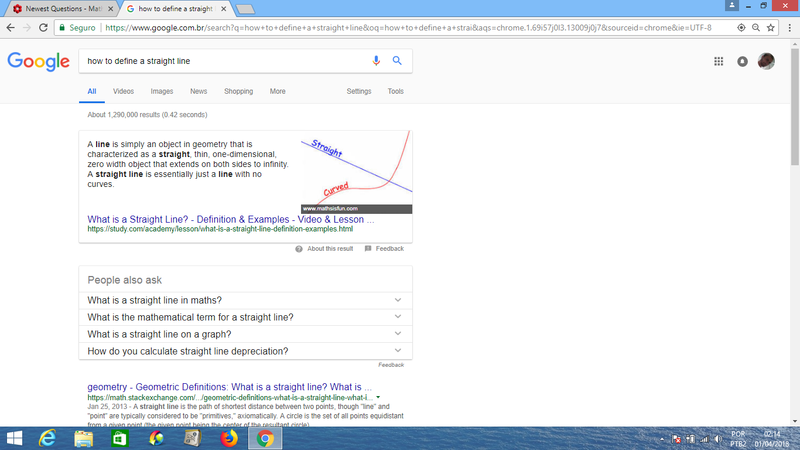 The definition of a straight line according to google. I do not understand why I call these geometries "non-Euclidean". In my view, both hyperbolic and elliptical geometry are just a dimensional reference change of the plane, using the same elements described by Euclid. Both are described by curved planes, that is, analyzed three-dimensionaly. A straight line is no longer a straight line. Perhaps there is a lost axiom that has not been introduced to better define what a line is and not to confuse it with a curve. What I want to mean is that, all of these are the same elements but with another perspective. If we can define what a line really is, maybe we can debunk the axioms denying the parallels axiom. If anyone has understood my doubt, please tell me where I am wrong or if there is truth in my words. Thanks. The purpose of this comment is to illustrate that the concept of "being straight" is only a psychological one. The figure below depicts the Klein model of the hyperbolic geometry within which the Euclidean plane can be modelled. Here the half ellipses centered at the center of the Klein circle tangent to the same are the Euclidean straights. And the hyperbolic straights "look straight". The solid lines are Euclidean and the broken lines are hyperbolic. 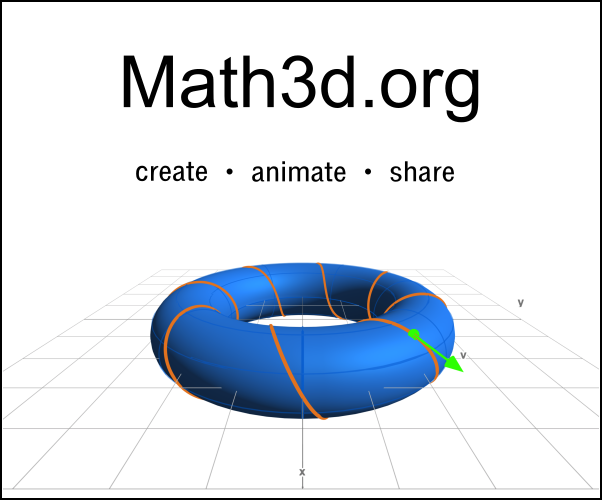 In this "Orthus" model the Euclidean and the hyperbolic geometry live together. Native Hyperboleans will find the Euclidean straights to be funny and curved while the Euclideans will find the hyperbolic straights to be funny and curved. The question: "Who is right?" is completely meaningless. Not the answer you're looking for? Browse other questions tagged geometry axioms noneuclidean-geometry or ask your own question. What is the “minimal” structure in which points and lines are defined?